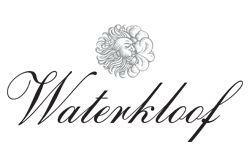 Bought in 2004, Waterkloof is a 149ha wine farm on the slopes of the Schapenberg. Over half of the land – 75ha – has been set aside to conserve the endangered Boland Granite Fynbos. Waterkloof has practised biodynamic farming since 2008. Percheron draft horses minimise the damage to the soil and vines – and reduce carbon emissions. Chickens feed on insect pests while adding nitrogen to the soil, as well as providing free-range eggs for the restaurant. Cows produce compost and Dorper sheep in the vineyards control weeds.